Austria has few peers as a year-round holiday destination, with plenty of winter sports in the Alps, some of the most impressive and overblown architecture in Europe and an unrivalled musical tradition that even The Sound of Music couldn't sully. Austria's cities have plenty to engage visitors: Vienna is the capital, hub of the country's musical life and littered with beautiful buildings; music, art and architecture reach baroque perfection in Salzburg, Mozart's birthplace; Innsbruck's snow-capped peaks frame fascinating historic buildings. 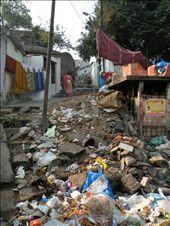 In-country migration, increased birth rates, and an infrastructure struggling to keep up leave many Indians with nowhere to dispose of garbage but the street. Waste pickers provide a valuable social, economic, and environmental service by collecting reusable or recyclable materials to sell. "before and the after". The big difference makes a good contrast.